This serene community of Avellino Isles is quietly tucked away behind its exclusive gated entrance within Vineyards Naples and offers optional membership to their crown jewel award winning Vineyards Country Club with 36 holes of championship golf, 12 Har-Tru tennis courts and a state of the art 15,000 square foot wellness center! Don’t miss your opportunity to own a well cared for luxurious first floor coach home that offers a maintenance free life style. 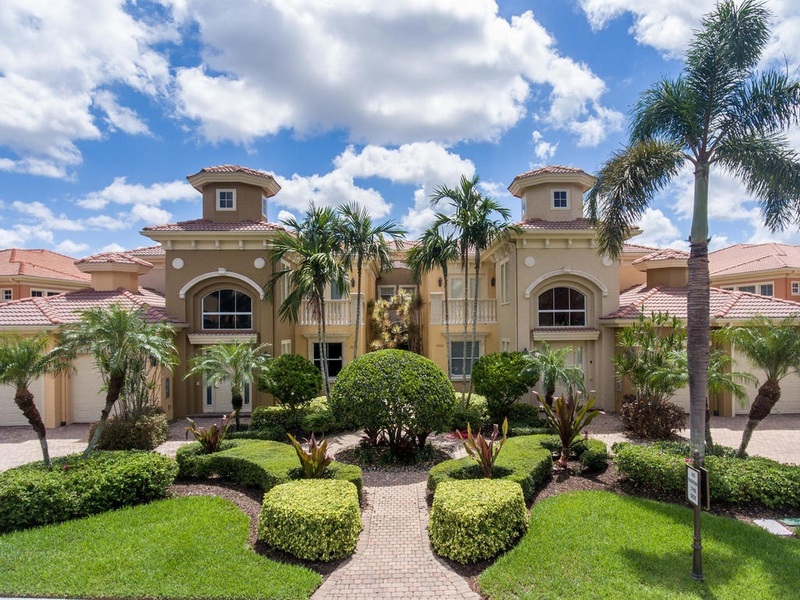 This unique Michelangelo floor plan has been designed with added under air square footage featuring custom Lexan impact windows on the screened lanai that open up to spectacular lake and courtyard views, In addition, there is full impact glass throughout, and all bedrooms feature full ensuite baths. Custom highlights include pre-constriction wiring for audio with built in speakers and surround sound, unique textured walls and custom paint features, plantation shutters, and natural wood crown moldings throughout, plus two new A/C’s and hot water heater! Enjoy the private clubhouse amenities at Avellino Isles featuring an exquisite pool and spa, and fitness and entertaining area exclusive to its residents at no additional cost.